Imotski is a small town in inland Dalmatia. A trip there is a world away from the Dalmatian coast. 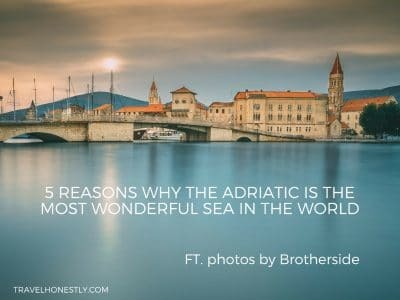 But if you can get by without the Adriatic Sea a day or two, your visit won’t be short of wonders. I have traveled Croatia far and wide. I’ve seen the glorious Croatian coast, lush mountains, exciting Croatian cities. But Imotski has a peculiar allure that touches even those who think they’ve seen it all. So what is the secret charm of Imotski? It’s a historic town but not in a postcard-perfect way as Dubrovnik. Far from being a tourist haunt, Imotski unravels its stories only if you scratch deep enough. If you approach it from the coast, you’ll have to take the tunnel through Biokovo mountain. Yes, this immense rugged ridge robs Imotski of a sea view. But its karst formations are ‘guilty’ of several breathtaking natural wonders. Imotski lakes are its most famous nature designs that have already made it on Dalmatia’s tourist map. And this is not where Imotski water world stops. The river Vrljika is unique too. A sinking karst river that goes under 5 different names along its 70 km flow. 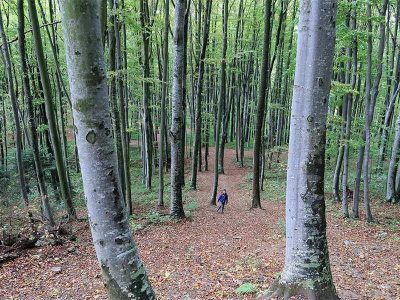 The landscape of this entire region of Imotska krajina has inspired countless folk tales. A random rock, cave, or a sinkhole is never only that. In the local people’s imagination they are home to fairies, angels or cursed rulers. The mythology abounds with tragic heroes and heroines. But look beyond those harrowing details. Because the creative force behind them is mellow and poetic. 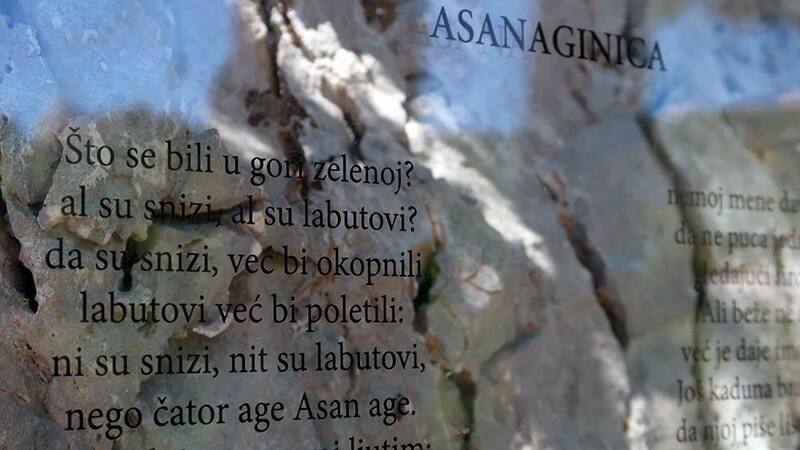 Yes, Imotski is also famous as the home town of several outstanding Croatian poets. Now put together this harsh nature and this sublime, gentle poetry. What you get is a one-of-a-kind experience. Let me show you the details. In May 2017 Imotski caught big media attention. It was when French cave diver Frederic Swierczynski reached the bottom of the Red Lake. Not only was he the first person in the world to do it. But now we finally know the exact depth of the lake – 245 meters. A couple of months later, the Red Lake threw even a bigger show. This time, more people could watch. Because a group of Austrian slackliners walked across this world’s third biggest sinkhole. The slackliners gave quite a performance and promised to be back next year. 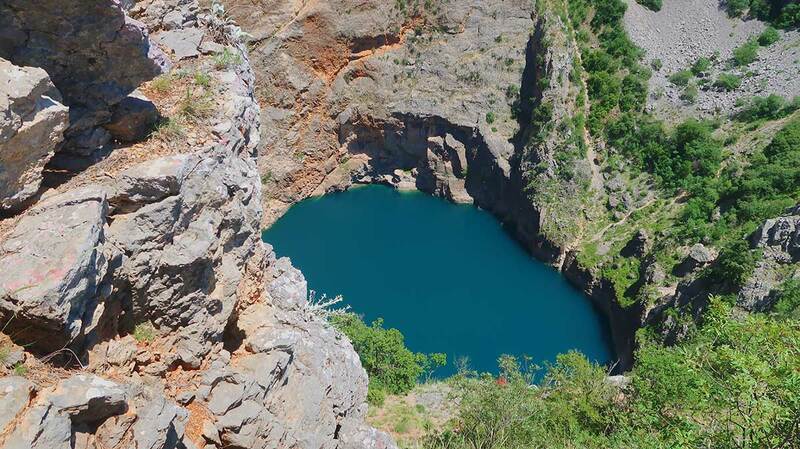 The Red Lake, in Croatian Crveno jezero, is a geological wonder of the Dinaric karst. It takes eons for the water to dissolve limestone and carve out underground pits. Once they are too large, they collapse under the weight of the soil. But you don’t need the scientific explanation to admire the Red Lake. In fact, centuries ago, people had only folk tales about its origin. They passed them down as a way to marvel at its chilling beauty. The story of Gavan is still alive and it goes… Rich man Gavan lived by the edge of the Red Lake. Both him and his wife Gavanica were mean and greedy. One night an angel visited them. But when he begged them for some food and water, Gavanica sent him away. At that moment, the earth collapsed into an abyss, dragging down Gavan’s castle with it. So there you have another explanation of how the Red Lake came to be. You can choose whichever one you like. But one thing never changes. As you stand over the lake, its mystical beauty will lock you in. Take your time. Stare at its matt reflection for hours. Contemplate. They say the lake takes its name after the burning red rocks of the grotto. The Blue Lake, in Croatian Modro jezero, is much tamer. 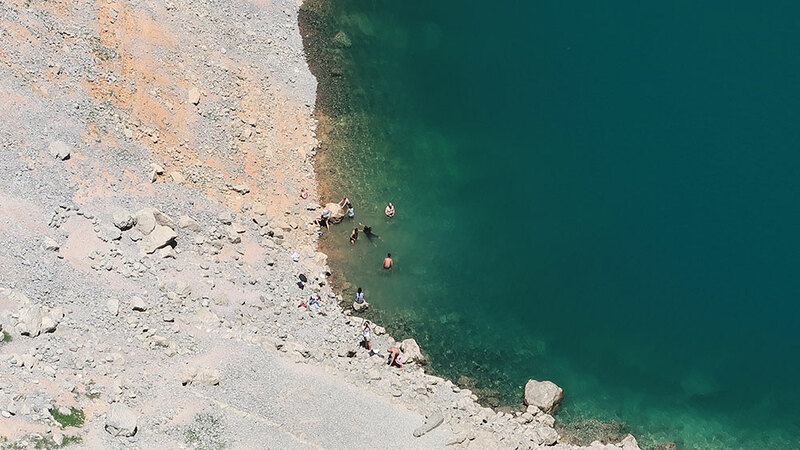 You can relish in its beauty from high above or walk down and swim in it. There are several belvederes around it. When you see the Blue Lake from all of them you’ll catch its kidney-like shape. The science says it is actually made of two sinkholes that caved in and merged. As you tread down, you’ll reach the so called Fairy’s Resting Place. According to the local legend, it’s where fairies come out at dawn and dusk. The nearby Fairy Cave is a place where no human has ever entered! 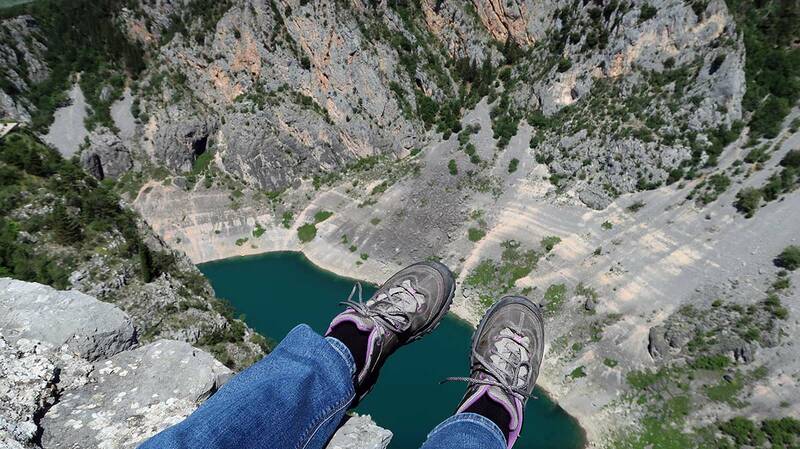 My favorite view of the Blue Lake is from the Topana Imotski Fortress which rises from a massive cliff. 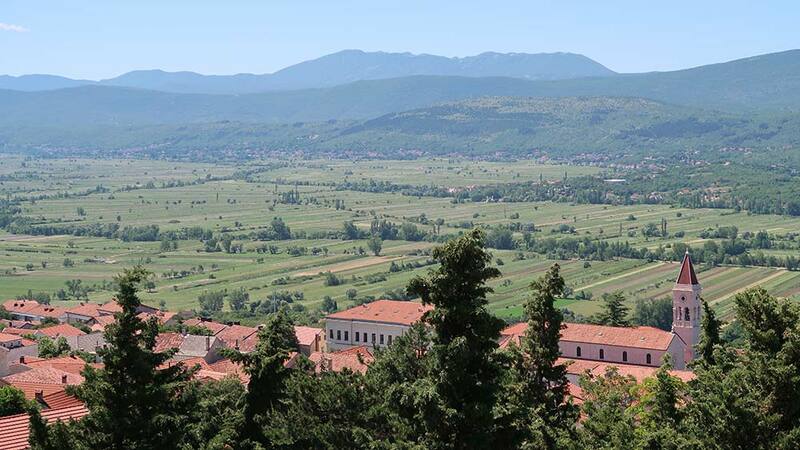 Topana was of strategic importance throughout the long history of Imotski. From as early at the 10th century when the town was the capital of the Croatian parish of Emotha. During the Ottoman invasion (1493-1717), Topana was the center of the Turkish command. When the Venetians took over, the fort played another peculiar role. The border between the two empires got marked by a cannon ball fired into the Imotski field. The beauty of Imotski Lakes may be your reason number one to visit. But after you’ve had your dose of natural wonders, stick around the town too. Walk around the typical Dalmatian stone streets. Pjaca is the prettiest one and completely pedestrianized. Then explore the oldest part of Imotski – Bazana. You’ll find it snuggled underneath Topana fortress. Finally, get to Skalini, the 18th century staircase that connects Bazana with the newer part of Imotski. 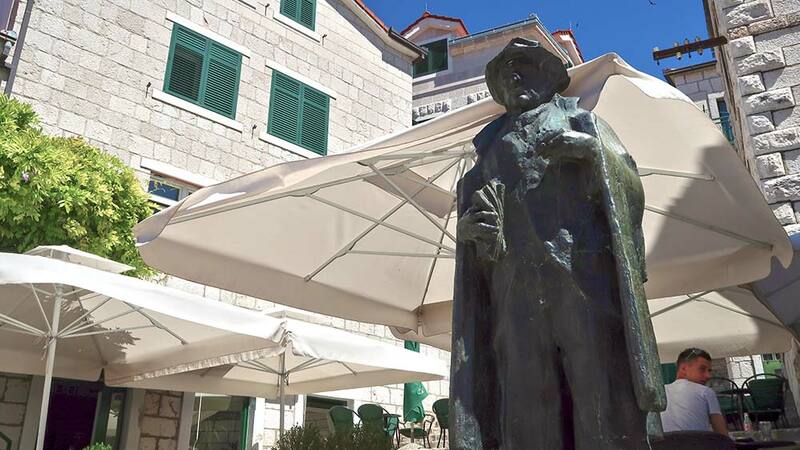 At this historic hub, you’ll find the statue of Tin Ujević – one of Croatia’s greatest poets. Tin Ujević was born in nearby Vrgorac but he went to school in Imotski. And the locals are immensely proud of this connection. Especially of Ujević’s poem about the sadness for leaving Imotski. 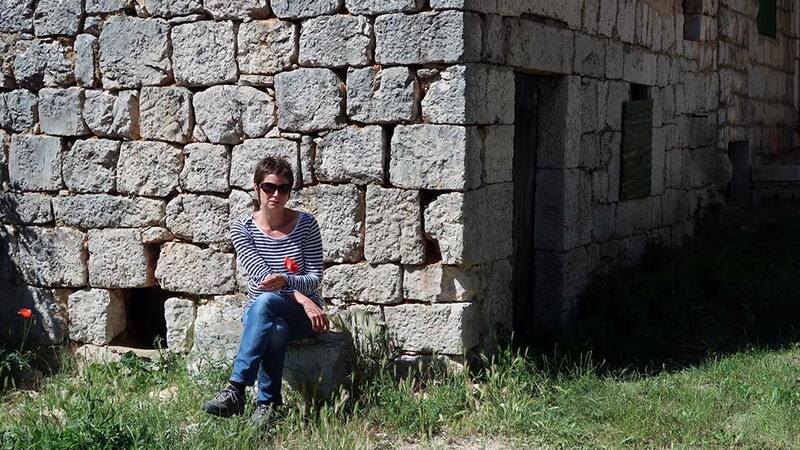 recollections of Brac, of Imotski. And the smell, the smell of alecost. or the smokes of pain in the fogs. Ujević is often called the last Croatian bard. He was a true poetic giant whose verses ooze with both mellow and sombre tones. As I followed my grumbling tummy that day in Imotski, I found two delicacies. First, I discovered a unique eco village Grabovci, only 8 km from the Blue Lake. Once abandoned, the village now celebrates traditional way of life of Imotska krajina. The Grabovac family farm will treat you will all kinds of scrumptious dishes. Roast meat, home grown vegetables, cheese and delicious cakes. As a vegetarian, I am used to eating poorly in places where meat is the star ingredient. But at Grabovac farm, my food preferences weren’t a problem. I got a fantastic grilled cheese and vegetables picked straight from their garden. Then, I got chatting with the owner. It didn’t take long before I mentioned Vlado Gotovac – one of my favorite Croatian poets. I knew he too was born in Imotski. The owner pointed to a small stone house outside the window. There, just across the restaurant was his birthplace. Vlado Gotovac was a poet and a philosopher. A patriot whose love for Croatia cost him more than a decade in prison during communism. He wrote one of the truest and most moving verses about free speech. Let’s revisit the Blue Lake. And let’s bring together what may seem incompatible – rugged nature and tender poetry. Right by one of the Blue Lake belvederes, you’ll find the Hasanaginica thematic park. The glass plaque has verses from the famous namesake poem. Its English title is The Mourning Song of the Noble Wife of the Asan Aga. No one knows the author of the ballad. But its verses have been recited for generations across the whole Balkans. Hasanaginica, the wife of Lord (aga) Hasan Arapović is a tragic heroine because she dies for being a good wife. Illogical. So let me explain. Aga is lying wounded in his tent. His mother and sister visit him, but not his wife Hasanaginica. The rules of the society are such. She only obeys them. But wounded and emotional, Aga expects her to break them. And when she doesn’t, he disowns her. Hasanaginica must leave her children and marry another wealthy man. Of course she cannot. And when she sees her children for the last time, she dies of grief. There have been countless studies of Hasanaginica. Into several plot mismatches, into who the author might have been. But all this aside, the ballad’s heartfelt poetry spread all around Europe. It was especially popular during the 18th century Romanticism. Goethe translated it into German, Mérimée into French, Pushkin into Russian and Walter Scott into English. Today it’s available in more than 40 language. The plot of the poem takes place near the Blue Lake. And the ruins of the Hasan towers still exist on its southwestern slopes. Imotski can be your perfect day trip from Split. It’s also very easy to visit from Makarska with lots of buses running throughout the day. If you’re a fan of inland Dalmatia like me, consider spending a few days there. Imotski is turning into a tourist destination in its own right. Accommodation options are getting better by the day. Especially with the boom of luxury villas with swimming pools. What’s so white upon yon verdant forest? Snow perhaps it is or swans assembled? Snow would surely long ago have melted. And a flight of swans would have departed. On his couch he lies, severely wounded. But for very shame his wife is absent. Are you tempted to visit Imotski? You should be. The nature will wow you. But don’t forget the poetry too! Special thanks to the Imotski Tourist Board for welcoming me and showing me Imotski attractions. 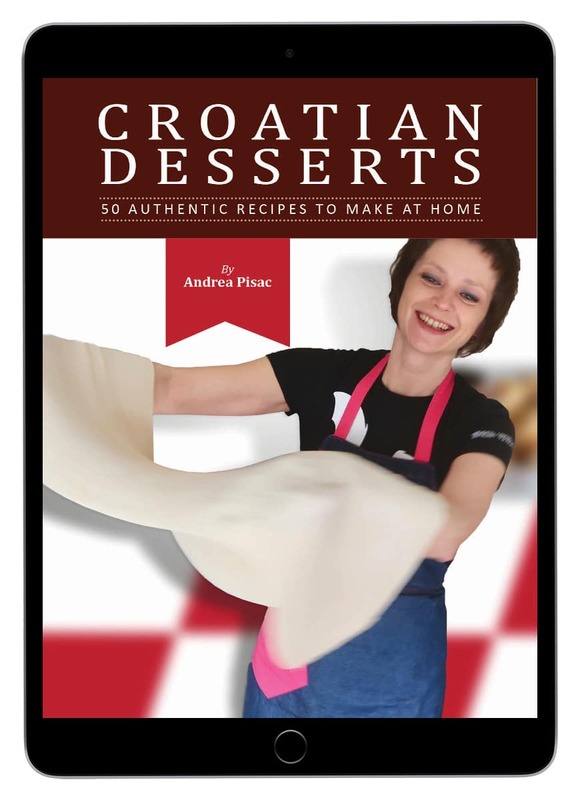 Sign up to my exclusive newsletter and get this awesome FREE guide to making friends with Croatian people! Now go to your inbox and open my email. Click the download link and get your FREE Guide. 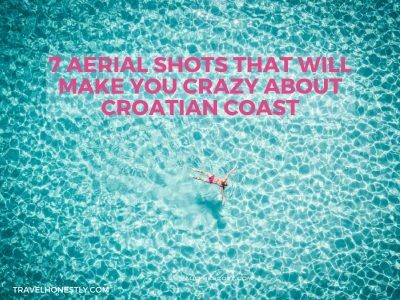 You're on your way to effortlessly making friends in Croatia. Start by joining my super engaged Facebook group Croatia Insider. I'll see you there! 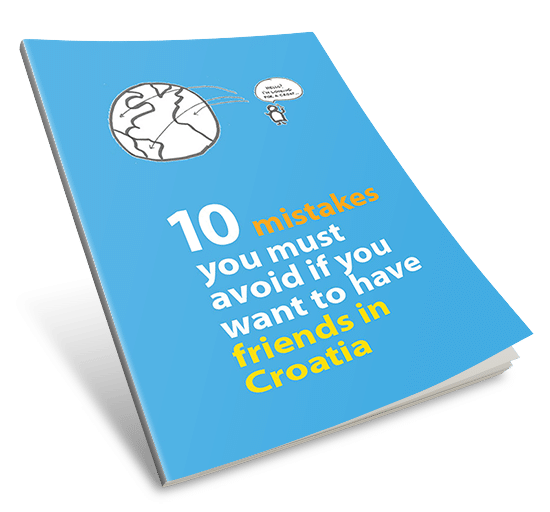 And get your FREE guide: 10 Mistakes you must avoid if you want to have friends in Croatia! Nice post Andrea. We were actually thinking of visiting Imotski over the next little while – have previously heard of the lakes and the fortress but have also read that the town is quite pretty as well. And I agree with you – inland Dalmatia in wonderful. Just yesterday I climbed Mt. Dinara…incredible views all around. Just a gorgeous region. 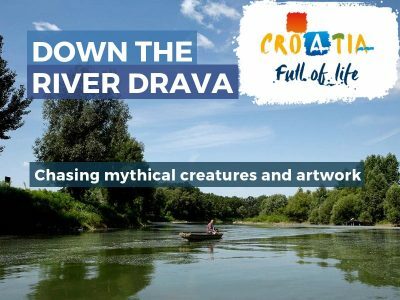 The ultimate Croatian Quiz – how Croatian you are? Have I lost my way migrating back to Croatia? Who else wants a selfie with a dead Croatian writer? Meet Zagreb immortals. 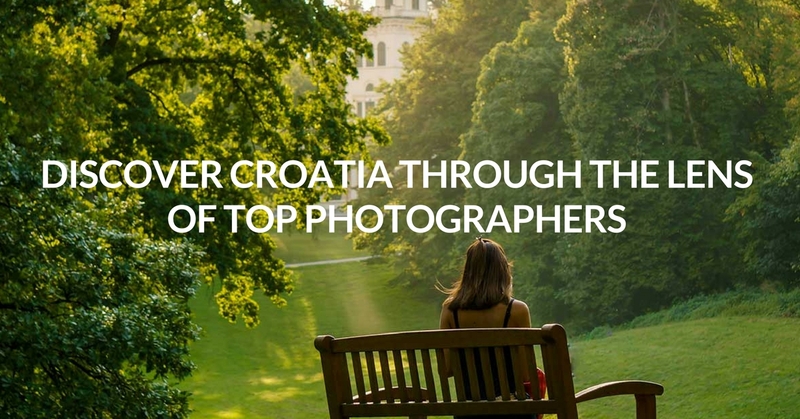 with insider tips on how to enjoy Croatia like the locals do! No spam. Pinky promise! See our privacy here. Sign up for my exclusive updates and get Croatia savvy. Start with this FREE guide! 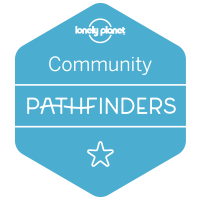 Your FREE guide is on its way! Just a couple of more steps before you get set up! Check your inbox for the email from Andrea Pisac. Yes, that's me! Confirm your subscription and wait for my second email where you'll find a link to download your FREE guide. For daily tips, join my super engaged FB group Croatia Insider.